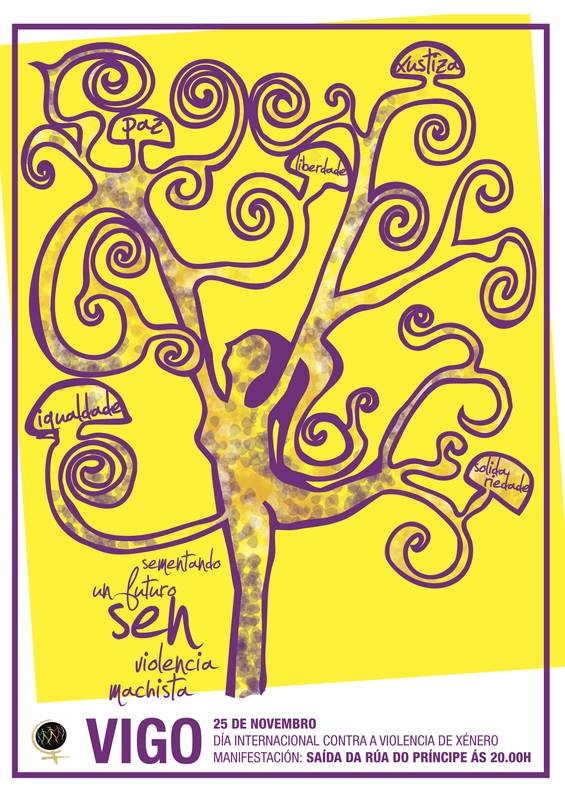 I was honoured in 2008 to develop as a volunteer the main image for the regional demonstrations of the World March of Women in Galicia (also known as Marcha Mundial das Mulleres). I have to admit that I was only following the instructions of the Vigo’s team in order to create the final poster and applications as well as advising them. The idea of being inspired on Klimt is also part of the hard working team. However, I can only be glad of being somehow part of a project that still today fights for basic rights of women in the world. 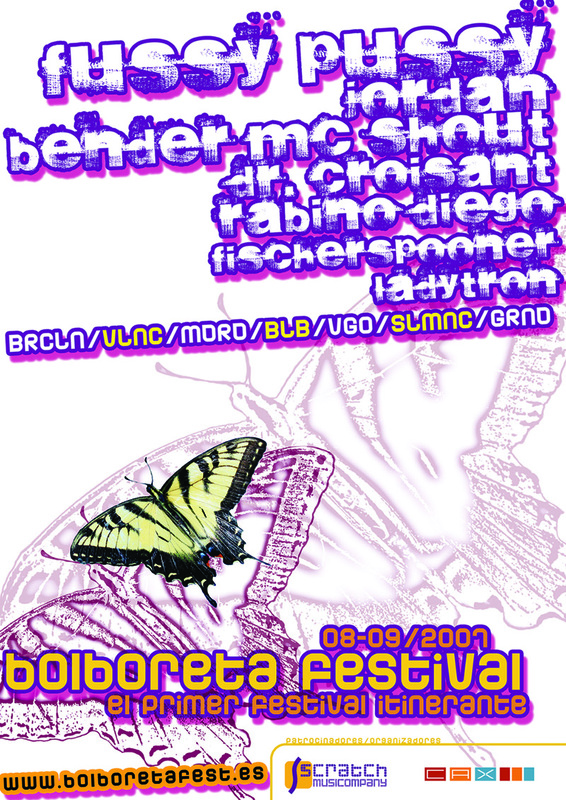 The poster was used in the seven main cities of Galicia on 25th November 2008, and followed by more than 2.000 people only in Vigo. This pieces of design graphic are part of my final project as bachelor on Graphic design. 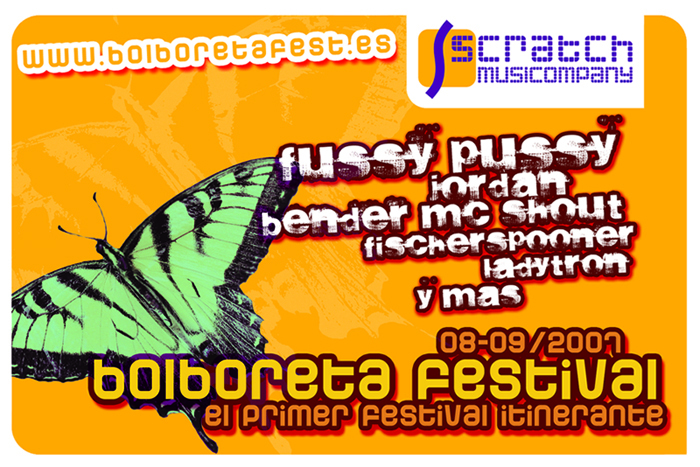 Bolboreta (butterfly in Galician language) Festival is supposed to be the first itinerant music festival supported by Scratch Musiccompany (the whole major project and brand developed). 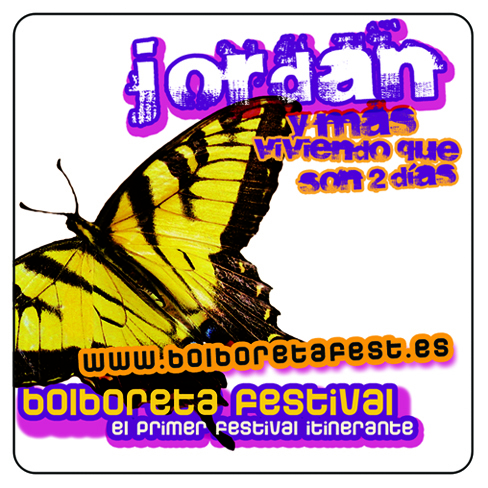 The festival would take part in different cities on tour in Spain during the months of August and September. 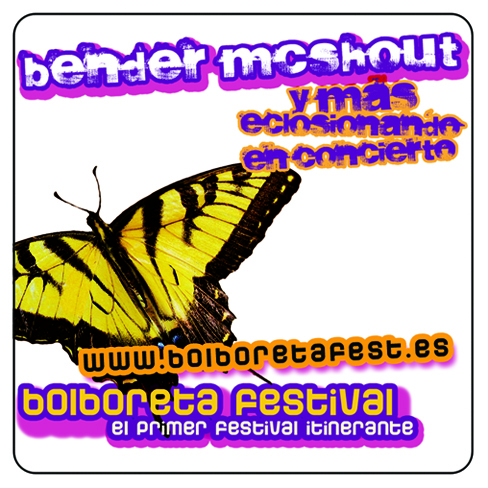 Above the main poster, while the next designs are coasters and postalfree examples to be used in bar to promote the festival. The slogans are “Live it up; life is short” and “Hatching out in concert” refer to the butterflies basics and to the intensive and fast way of celebrating such events. This pieces are part of the global project Scratch back in 2007. Find out more here on the blog soon! This pieces of design graphic are part of my final project as bachelor on Graphic design. 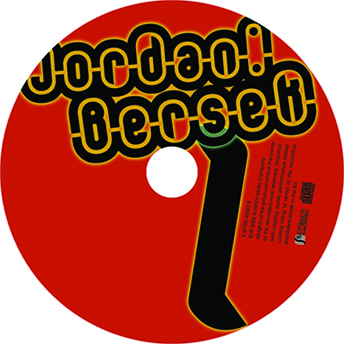 Jordan was a real project at the time and some of the designs were used at the time. 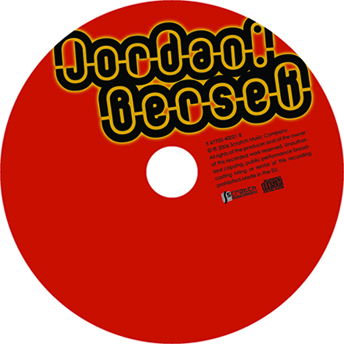 Nowadays Jordan is known as Luis DH, taking pretty a new direction into electronic and pop music. 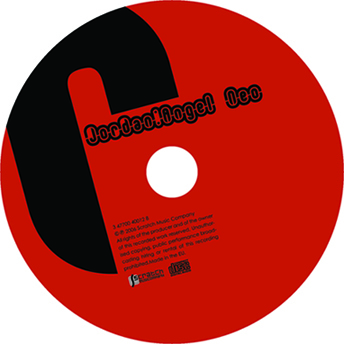 Here you can find some of the examples proposed for it CD covers for the album Angel Neo and the single Bersek. Branding for a publishing project which would focus in new authors to be promoted. „Vergóntea“ means in Galician “bud”. The meaning of the world becomes a paradigmatic logo on form and colour. These three easy pieces play with typography in order to communicate different meanings of nationalism. The first picture refers to the death caused during World War II, while the second focuses on the Spanish case of different regional nationalisms which mainly focus on preserving their own culture and identity inside of a global state. The third one is a word play in Spanish between ‘nationalism’ and ‘mine’, which pretty an obvious meaning. One of my favourite ways of representing time is using the bar as timeline and to specify an empty dot on it to make relevant a notorious moment. 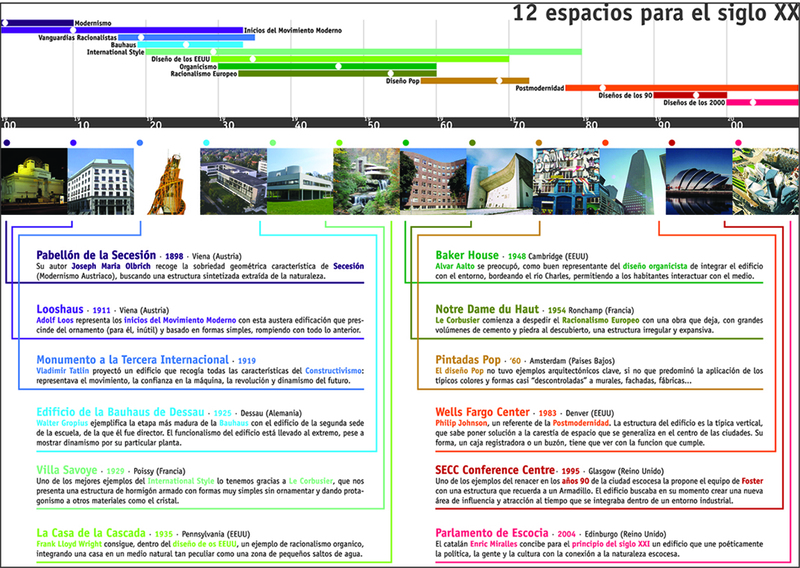 Here a very easy example on how to get to represent the evolution of architechure and spaces along the 20th century. This example is also one of my favourite one in order to explain time on infographics. The repetition and insistence on a colour key is used in order to provide a clear and easy to follow language, so the information ca be quickly found. This is a volunteer project on 2012 to support the new guided tours if the city of Vigo. Yellow has been chosen as part of their own already decided corporate color. The synthesization of the main monuments or icons of Vigo try to combine three of its meanings: past, modern art and its industrial character along Vigo’s port and privileged geography.